The Luxembourgish royal vaults hold one of the best royal jewel collections in the world -- one that can occasionally bring us a delightful surprise or two. 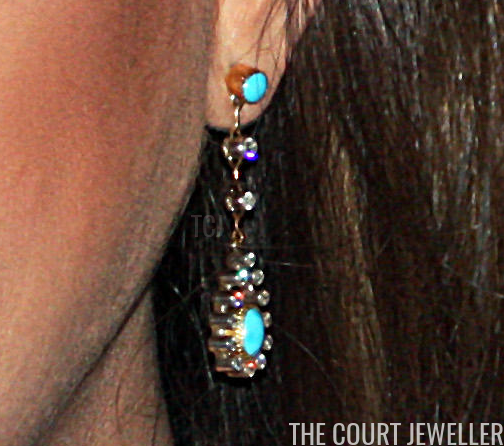 That was the case with this suite of heirloom turquoise jewels, which we first saw put into the family's current tiara rotation about a decade ago. The suite, which is essentially a married parure, consists of a small diamond and turquoise tiara and accompanying coordinating jewels. The tiara features small pear-shaped turquoises surrounded by diamonds, set atop a base of turquoises between diamond prong-style elements. The tiara, which was reportedly made in the 1830s, looks a bit truncated on the wearer's head; its design terminates rather abruptly at each end, rather than tapering as many similar tiaras would. The reported date of the piece's creation, and its general profile, make me think that it wasn't originally a tiara at all. Instead, it looks much more like a comb, a jeweled ornament that would be worn further back on a woman's head during the Empire period, usually with a larger, more elaborate tiara set in front of it. 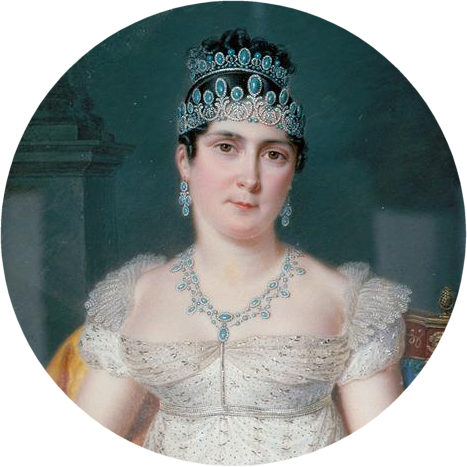 For example, you can see a similar suite of turquoise and diamond jewelry, which includes both a tiara and a comb, in this miniature portrait of Josephine de Beauharnais, painted by Pierre Louis Bouvier in 1812. I wouldn't be surprised if the Luxembourgish "tiara" was originally the smaller comb accompanying a larger (and perhaps now-lost) tiara like Josephine's. 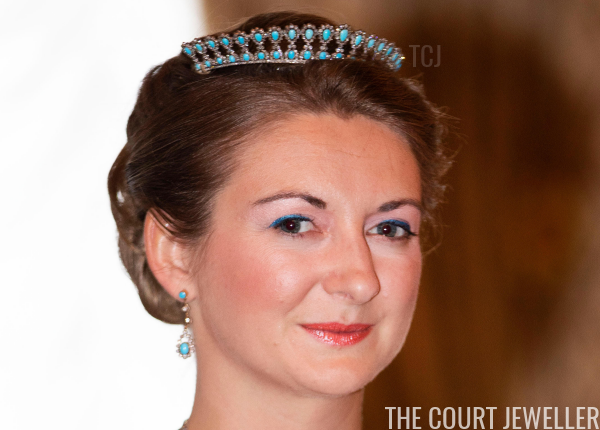 The small Luxembourgish tiara has a matching necklace, which features a row of oval turquoise and diamond clusters and a row of pear-shaped turquoise and diamond cluster pendants. According to Luxarazzi (the go-to resource on everything about the grand ducal family), Grand Duchess Maria Teresa brought the tiara and necklace in 2006 to Muriel Prieur, one of the curators of the family collections. The jewels were in some form of disrepair, and Maria Teresa asked Prieur to restore them so they could be worn again. 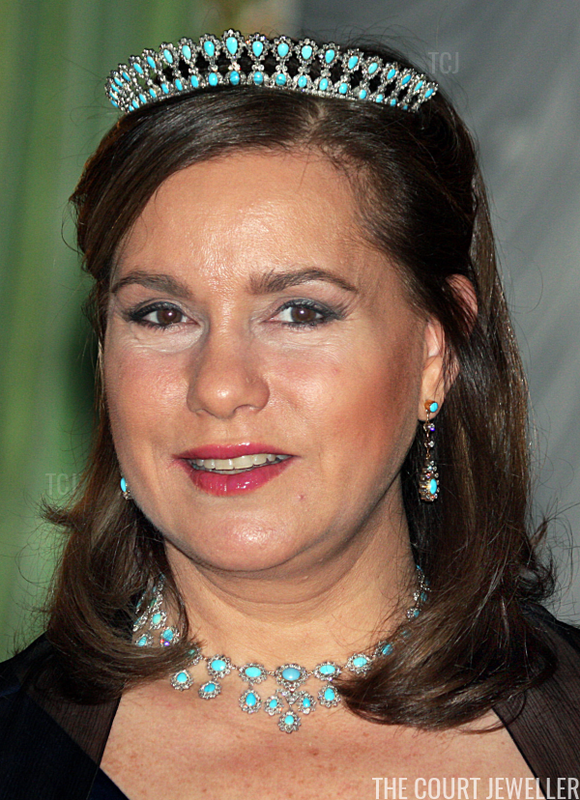 Maria Teresa also asked Prieur to create a new pair of earrings to go with the suite. Indeed, the earrings are noticeably more modern in design, including the bezel setting of the turquoise stud. 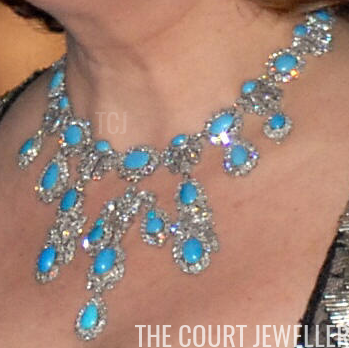 The ladies of Luxarazzi also note that a third turquoise and diamond piece was brought to Prieur by the Grand Duchess for restoration: a larger, more complicated diamond and turquoise necklace. This necklace also features clusters of oval and pear-shaped turquoises and diamonds in its design, but the stones are larger and the pendants are longer. Some sections also feature diamonds set in anthemion-like designs. 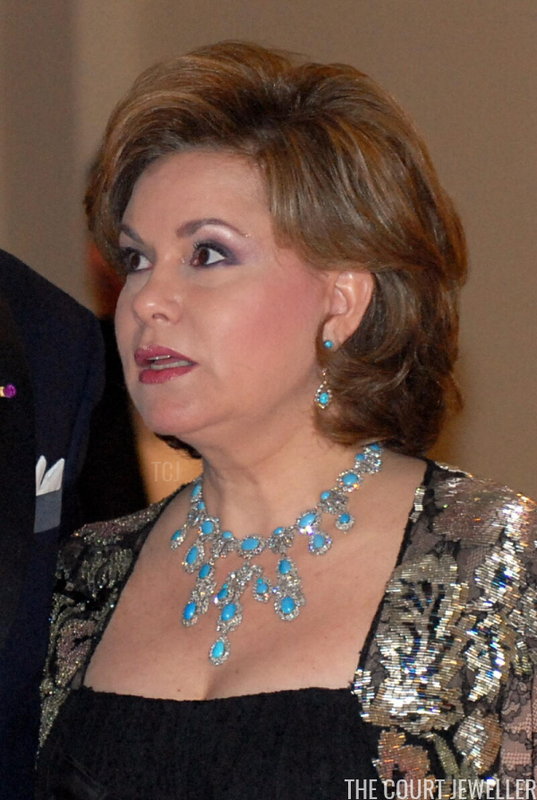 In November 2008, Maria Teresa wore the restored tiara and small necklace in public for the first time, pairing them with the new earrings for a gala in Luxembourg during the state visit from the President of Finland. Since then, two more Luxembourgish princesses have worn the jewels. 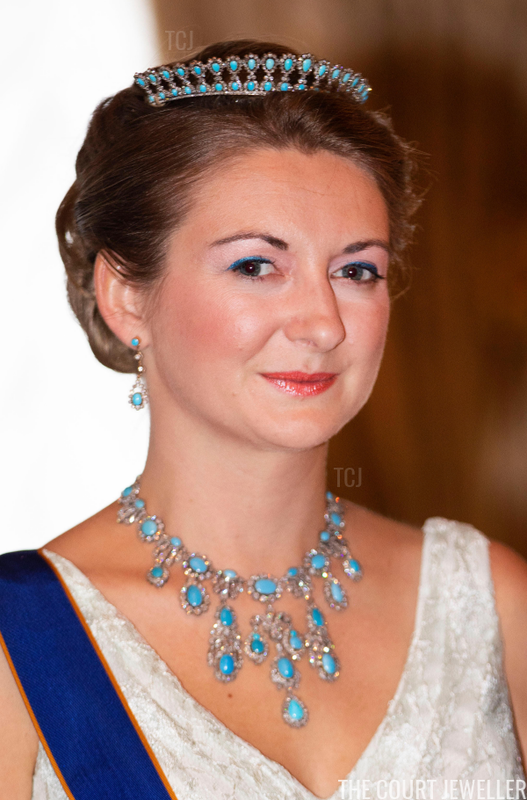 Princess Tessy wore the tiara and earrings (without either necklace) for the National Day gala in 2010. Eight years later, Hereditary Grand Duchess Stephanie also wore the tiara for the annual National Day celebrations. On that occasion, she wore the tiara and earrings with the larger necklace from the set, the first time we'd seen that particular pairing in public.